I had lunch with a colleague of mine the other day and he shared a story about how his grandfather, an Eastern European Jewish immigrant, came to this country as a teenager in the early 1900s. He started out pushing a scrap cart, mending clothing to make a living and ended up attending Phillips Exeter Academy and later, Harvard. My friend's grandfather went on to build a successful real estate development business and retired at 50 to an island in the Caribbean. As he spoke of his grandfather, I could sense how much the man had meant to my friend and it touched me that he would share the story. Since my own grandparents, who have impacted my life greatly, are always at the forefront of my mind, I got to thinking. My family spent some time over the holidays watching old home movies, including some I'd never seen before where my great-grandfather recounted aspects of his life story. With little more than an elementary education, my grandfather went on to hold many jobs and eventually become a minister. In the video, he said that by age six he could identify every tree in the forest by its leaves and/or the taste of its bark. I always knew he had a vast knowledge of nature, but this astounded me and still does. In life, we place value on so many different things. Some might say that a Harvard education is more valuable than being able to identify trees. But I believe both fill an important need in our society. What we value says so much about us. Sometimes we don't even realize where we are placing value, but it is often evident by how we spend our time or energy. I'm not much for making New Year's resolutions, but in 2014, I hope I can keep my focus on the things that really matter. Every time I hear the song Tender Tennessee Christmas, I think of Michael. I was in the fifth grade, a kinda chubby kid with frizzy hair and coke bottle glasses. When our school started preparing for our annual Christmas program, I could hardly wait. There were to be two different choreographed dance numbers and we could choose which one we wanted to participate in. The options were an all-girl dance and a boy-girl dance. Since boys didn't pay much attention to me, I thought this might be my chance to make an impression, so naturally I opted for the boy-girl dance. I was hoping to dance with my then crush Jason or one of the cute B.J.s (there were several). On the first day of rehearsal for the boy-girl dance, all the students participating were gathered in the school's gym where the teachers attempted to corral us into some semblance of order. They made us line up from shortest to tallest, one line of boys and one line of girls. Did I mention that I was also tall? As the tallest girl in the group, I quickly realized how they were pairing us up with our dance partners. By height. I scanned the line of boys to see who might be matched up with me. Then I saw him...the tallest of the boys. Michael. Why this boy had ever agreed to be in the boy-girl dance was beyond me. He scared me. He got in trouble. He wore Metallica t-shirts. I played with My Little Pony. As I suspected, we were paired up. There was no dancing to take place that particular day and I can't tell you how relieved I was. I remember all my friends talking at lunch about who they were paired up with and when I said Michael, they all looked aghast. Looking back, it absolutely breaks my heart that we would see another child as being so different from us...but that's what happens when you don't know someone and don't take time to understand where they come from. For the Christmas program, the boy-girl dance consisted of three large circles of dancers across the gym. Each circle rotated as we right-together, left-together'd to Amy Grant singing about childlike hearts and the love circling around us like gifts around our tree. Michael never said one mean word to me, or really any word at all. He just showed up to rehearsals like everybody else (in his Metallica t-shirt) and did the dance. I remember trying to get him to look me in the eye while we danced, but he mostly stared at the floor. His hands were dry and sand papery. I learned later that his mom had been killed in a car accident. I think he lived with his aunt. I saw in the paper recently where his younger brother had been arrested for some reason or another. I lost track of him after middle school and I always wondered what happened to him. It's such a small thing to remember, but for whatever reason it left an indelible mark on me. Every time I hear the song, I am sort of taken back to that elementary school gym. Awkward and nervous, so unsure of myself and who I was to be. So afraid to make one misstep, both in the dance and in my life. It felt safe to see him as an outsider and to treat him as such. Even if I knew in my heart it was wrong. I wish I could go back and be nicer to him. I wish I could go back and do a lot of things. But I think it's memories like this that remind us of things we want to do differently moving forward. I have a confession to make...I'm not very crafty. I am creative, but crafts aren't really one of my strengths. I have learned that the secret to success in the world of crafts (for me at least) is choosing projects that are really simple. There's nothing like a giant crafting fail to put a damper on your holiday spirits. I pick easy crafts and they usually turn out alright so this gives me confidence to keep crafting. Today I'm doing my regular Southern Belle Simple segment on Knoxville's Fox43 morning show and what better topic to discuss than some easy last minute Christmas craft ideas! All of these are super easy and hard to mess up. Also, they don't take up a lot of time so if you've put it off to the last minute this year, you can still get a little DIY holiday spirit in your home! Get the whole family involved...they might moan and groan at first, but they'll thank you later for the fun memories. Burlap is the anti-crafter's best friend. It covers a multitude of crafting sins and I keep a huge stash of it on hand at all times. 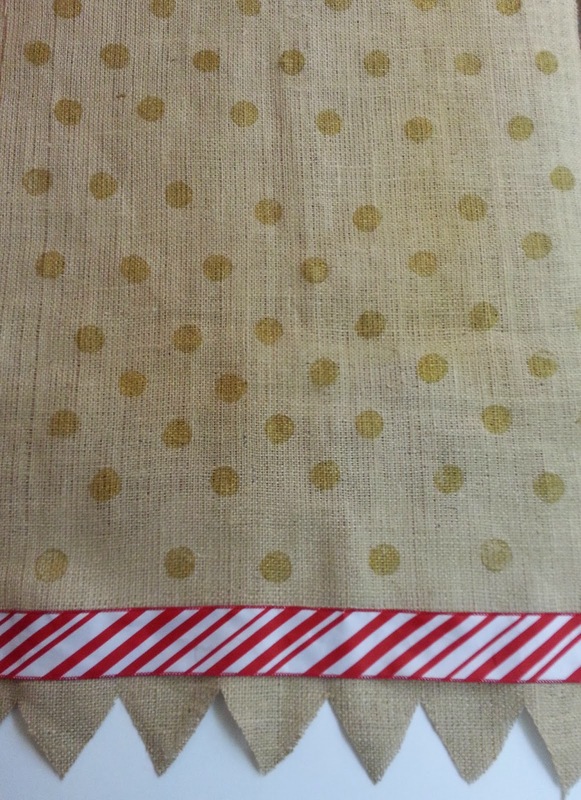 I decided to make a painted burlap table runner to add some cheer to my holiday table. The best part is there are no rules to follow so it can really be anything you want. I cut a rectangular piece of burlap (approximately four feet long and 2 feet wide). Then I painted gold polka dots all over it using gold craft paint and a wine cork as a stamp. 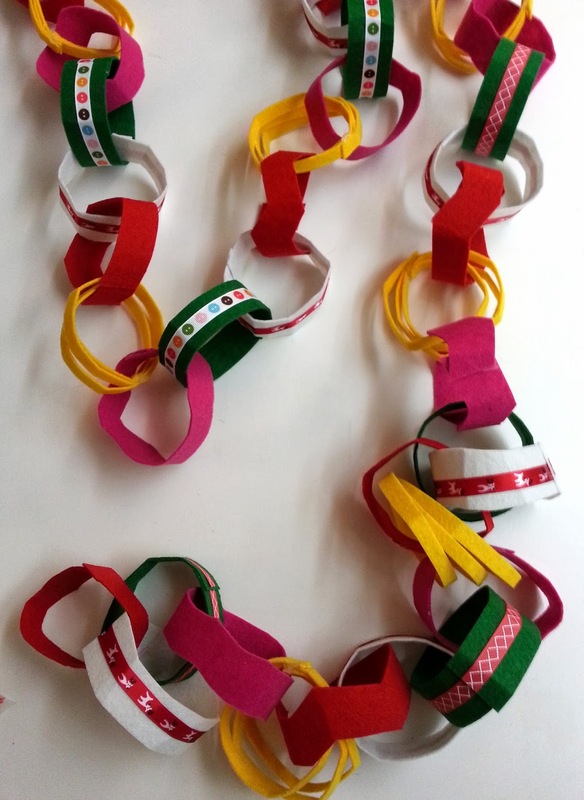 I trimmed the ends in a zig zag pattern and hot glued a Christmas ribbon across each one. Voila! So easy and cute. This simple craft project holds a special place in my heart because I used to do it with my grandparents when I was a little girl. Crafting was definitely more fun at their house because they didn't care how big of a mess we made. 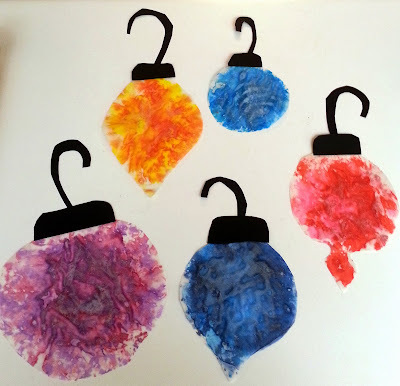 To create these fun faux stained glass decorations, you need crayons, wax paper, a pencil sharpener and an iron. Sharpen a bunch of crayons and collect the shavings. Lay those out on a sheet of waxed paper and place another sheet on top. Then, with a warm iron, press down until the wax melts and creates a design you like. It's best to use similar colors (red & pink, yellow & orange, etc.) or else your combinations can just turn brown. I put my southern beau to work making these and we had a blast. We cut them into shapes and turned them into oversized Christmas ornaments with scraps of black cardstock. When you hang them in a window, the light comes through the wax and looks really pretty. This project was inspired by a felt garland I saw at Walgreens, but it was a little sad and squished looking. I decided to make my own. All you need are sheets of felt you can cut into strips, ribbon and other trimmings and a hot glue gun. This took very little time to make and turned out to be around five feet. 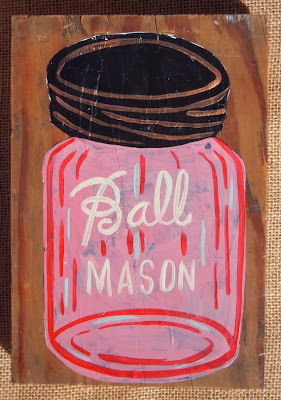 It would be so cute hanging on a mantel or Christmas tree. Such a fun, simple project! I hope these ideas inspired you to get crafting! You don't have to be a pro or spend a ton of money to do a project that is memorable and meaningful. The other night after we finished some of these projects, my southern beau said "this was the best day ever." To me, creating an experience with the ones you love is the real joy...having a cute decoration when you're finished is just icing on the cake! I was thinking the other day about Tupperware. The reason I thought of it is my southern beau borrowed a reusable plastic food storage container from a friend and later disposed of it. I saw some similar ones at the grocery store and bought them as a replacement for our friend. It was so easy to grab a neat stack of plastic bowls with perfectly fitting lids. I thought about how kids today wouldn't believe there was ever a time you couldn't buy such things at the grocery store. I'm not even that old and I remember a time when Tupperware only came from parties. Then I think back to my grandmothers and how it must have seemed to them. 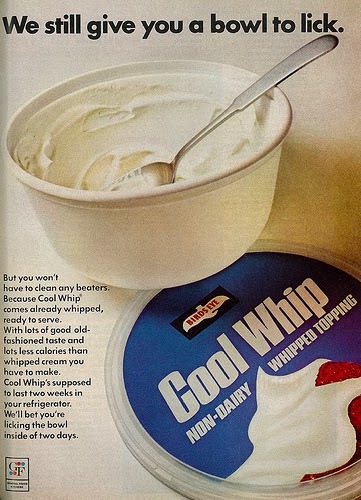 Their versions of reusable plastic food storage containers were cottage cheese cartons and Cool Whip tubs. And sometimes those brown Country Crock butter bowls. After growing up in the 1920s and 30s, it wouldn't have made any sense to throw away those sorts of useful containers after just one use. Same went for plastic bread bags and aluminium foil. I can remember my great-grandmother washing bread bags and upending them to dry on her kitchen faucet. Just recently I caught myself rinsing off a square of tin foil and had to chuckle because I know my grandma would be proud. Wasting anything just wasn't an option to the older generations of my family. On Thanksgiving my cousin shared a story of how my grandparents would scoop the bathwater out of the tub after she had been bathed and use it to water their plants. I remembered a similar habit: my grandpa showering over a plastic bucket to collect water for the same purpose. I'm not sure that I want to go to those lengths, but I do believe there should be a balance of some sort. What if we get so used to wasting, disposing, and throwing everything away that we begin to do the same thing with people? 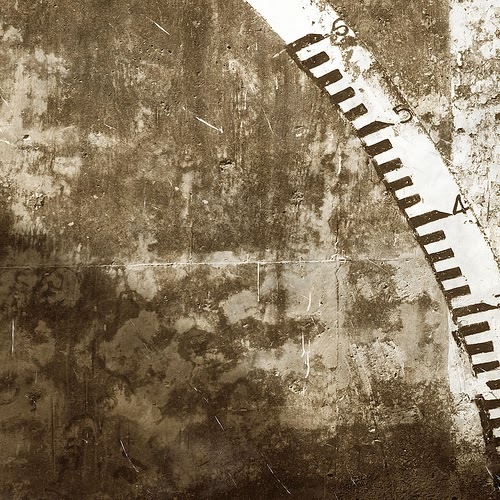 It's so easy to get into the grooves of life, going about the motions of our day. I might do a small kind act for a stranger and pat myself on the back. But what about those other people...the ones we know who feel sad and alone, the ones who get on our nerves, the ones we just refuse to take the time for...what about our actions sends them the message that they are worth saving? **Author's Note: Recently, someone I love very much was hurt because they thought something I wrote on this blog was directed at them. That couldn't be further from the truth. This blog is just a place for me to share my heart...all the words of wisdom I might dish out are usually intended for myself. I certainly need all the wisdom I can get! If something I write strikes you in a way that makes you feel I'm pointing a finger or trying to send a message to you, I assure you that is not the case. Thanks for reading and have a happy day! There are so many talented and creative folks who call the south home. This is why I've decided to buy local, southern-made goods and items this holiday shopping season. 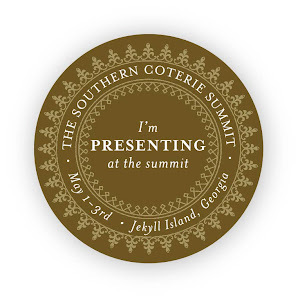 Not only does it support southern purveyors, artisans and merchants, but it's also a fail-safe way to make sure the people on my holiday list are delighted with what they receive. Since I'm visiting my pals at Knoxville's WTNZ Fox43 this morning for a segment, I decided to share some of the southern made holiday gift items that I've gotten so far. You should never show up to a party empty-handed, whether you bring a covered dish, flowers or a plant, or a bottle of wine. For some folks in my family, a bottle of wine could be substituted for a jar of moonshine, but you get the idea. Here are some great options for southern made hostess gifts, which could also double as teacher gifts, stocking stuffers or items for a white elephant gift exchange. 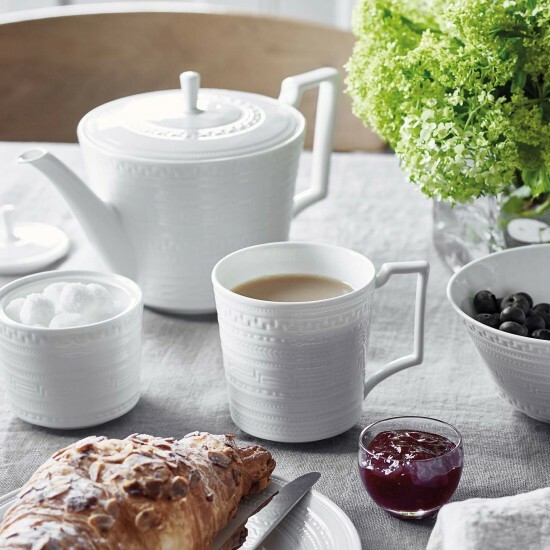 Not sure if you're shopping for a foodie? If you have someone on your holiday shopping list who reads cookbooks for fun, subscribes to a zillion food blogs, and loves eating local, it's a safe bet a foodie is in your midst. 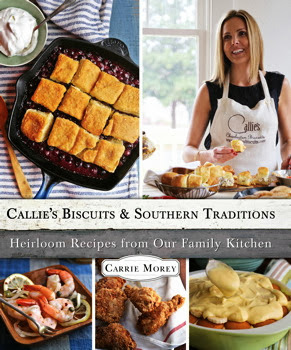 I highly recommend this cookbook by my friend Carrie Morey. Pair it with a package of her famous Callie's Charleston Biscuits (available at Fresh Market and other retailers) to make the foodie on your list oh so happy. Europe and NYC no longer corner the market on high fashion. Make those fashionistas on your holiday list pleased as punch with the gift of custom denim and jewelry made right here in the south. Marc Nelson Denim is based in Knoxville, Tennessee and creates custom fit and small-batch run denim made in America (in the south). The men’s and women’s collections can be found in boutiques and specialty retailers across the U.S. as well as the company’s online store. Knoxville shoppers can find Marc Nelson at Bliss as well as other area retailers. I just got my first pair in the slim boot style and they make me feel like a rock star. Another great southern made item for the style-setter on your holiday shopping list is Lenny & Eva jewelry. Now in boutiques all around the country, this brand was started by a sweet gal from my hometown. She's even graced the blog before when I featured her photography from a vintage southern wedding (to die for). 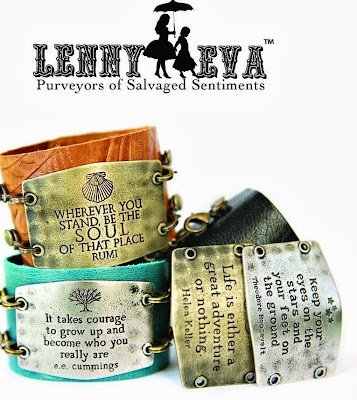 Knoxville folks can find a wide selection of Lenny & Eva at Bliss (or you can check for a store near you using the store locator). The gift of art is always a good idea because it allows you to present someone special with a one-of-a-kind piece that you chose just for them. The south is home to lots of talented artists, but two I happen to really like are Beth Meadows and Brian Pittman. 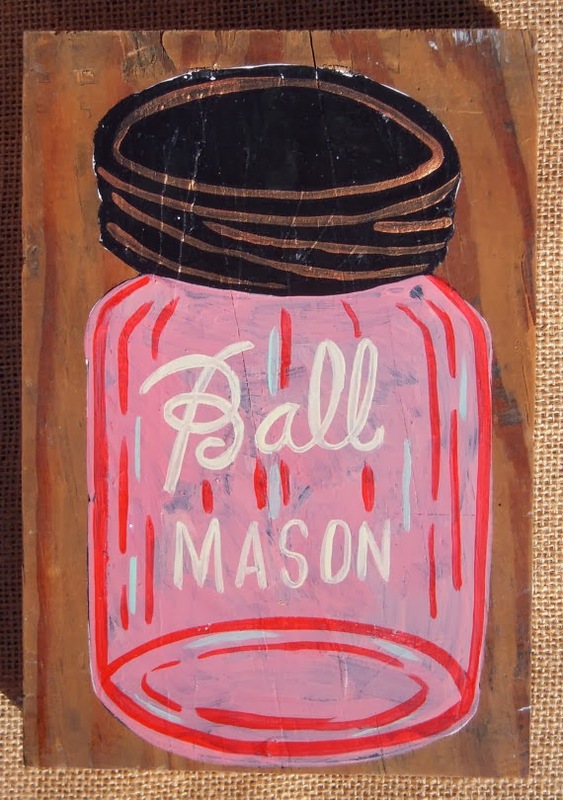 Beth is known for her colorful mason jar art while Brian's pen and ink drawings center around cathedrals and other architectural marvels. Beth Meadows and Brian Pittman are extremely talented and I love supporting their creative endeavors. Both have work available at Knoxville's Rala and Brian will be on hand Friday, Dec. 6th for a First Friday event. 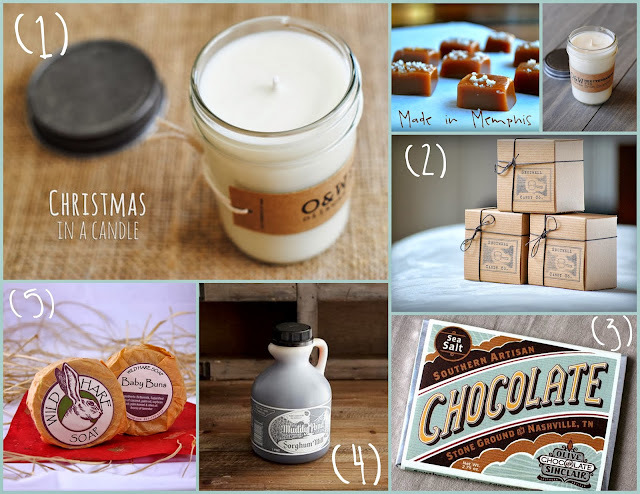 These are just a few of the locally made items that caught my eye this holiday season. Are you supporting local merchants and artisans? I'd love to hear what some of your favorite items are! For more southern gift ideas, check out these other posts featuring local and DIY holiday gifts. When the holidays roll around, our calendars start filling up with festive fetes and soirees. But, what's supposed to be the most wonderful time of the year often morphs into the most stressful time of the year...especially if you feel less than confident in social situations. 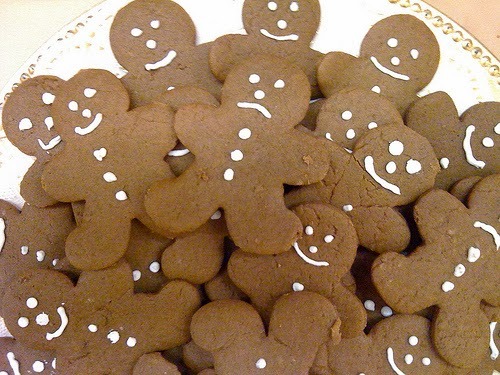 One hot topic that often incites anxiety is holiday office parties. Last year, I wrote about how to survive your holiday office party in my Social Q's etiquette column for Modern Ink Magazine. You can read my full advice on making the most of your holiday work party here. Between then and now, I've lived a little and learned a few things so I wanted to share some more advice that might come in handy when it comes to socializing with co-workers at a holiday office gathering. Don't talk shop the entire time. Work might be what you have in common, but the purpose of this gathering is to celebrate the year's accomplishments by giving yourself a break from the grind. Do bring a date/spouse/partner if permitted. Don't bring several additional family members just so they can enjoy the free food. Do participate in a gift exchange or white elephant game if there is one. Do bring a covered dish or appetizer to share if it's a potluck. Don't attempt to make a brand new recipe at the last minute if there's any chance it could turn out strange or inedible. Stick with a classic or favorite that you know everybody will love. Do contribute to a group gift for your boss if there is one. Don't make a big show of presenting the gift as if it came from you alone. Do enjoy a cocktail or glass of wine (if you want to). Don't drink to excess and embarrass yourself or someone else. Do have fun and make some memories. Don't stress out about it. The holidays come around only once a year...relax and be yourself. With all the folks out of work these days, those of us with jobs are pretty fortunate! Let's keep a healthy dose of perspective and enjoy the season of festivities to the fullest. Each year for as long as I can remember, my family has sent out a photo card for the holidays. And each year, I've taken it upon myself to create said card...sometimes with construction paper or ribbon, other years using glitter and glue, painstaking as it were. Our card list grew longer and longer and I guess the task got to be too much for me because last year, for the first time ever, my family did not send out Christmas cards. Christmas came so quickly that with the hustle and bustle of everything else, making a holiday card just wasn't a priority. 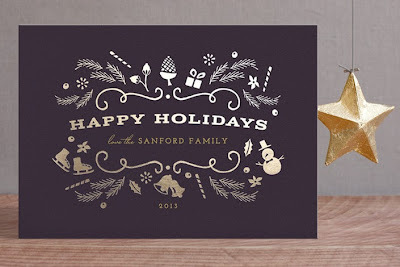 I didn't want that to happen again this year and the timing couldn't have been more perfect when I was contacted by Minted.com about featuring their custom holiday cards and other stationery on Southern Belle Simple. 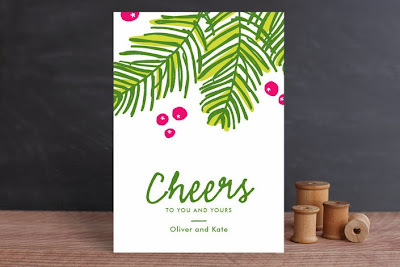 I've never used Minted before, but after spending some time on the site, I found lots of holiday card designs that I really liked. The best part is they are designed so beautifully that I don't have to waste any time crafting some elaborate creation from scratch. I sat down with my mom this past weekend and looked at possible photo options for our family holiday card. It's tricky because my brother has a new romance and we weren't sure if it was appropriate to add a photo of his girlfriend to the card (too soon? )...with her permission we ended up including her though. Then there's my southern beau...even though he's been on the scene for many years, he isn't always keen on the whole family photo thing...but he was a good sport and agreed to let us include him too. That's the thing about family. When you love a whole bunch of different people in all sorts of different ways, the lines get pretty blurry. But there's enough good stuff to go around. Plus, the smudges are where the real magic happens. 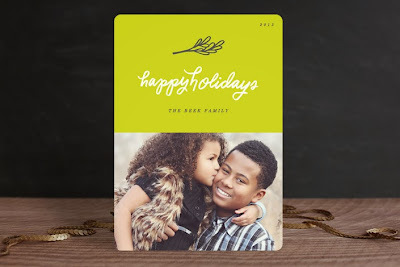 What is your family's holiday card tradition? 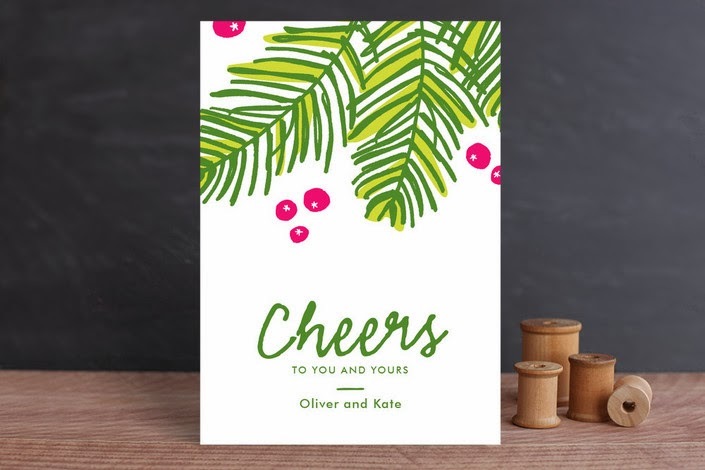 Do you send out cards with photos or maybe one of those end of the year wrap-up letters?